﻿ Regardless of any disdain you may have towards her music, you can’t not think of Kesha as one of the strongest women in music right now. Millions have flooded the singer with support for overcoming eating disorders and, more notably, taking Dr Luke, her ex-producer and alleged emotional and sexual abuser to court in a bid to escape her contract with him. Kesha may not have fully been able to escape the binding agreements (she’s still expected to release two more records through Luke’s record label), but her just-released new album Rainbow, produced by Macklemore’s partner-in-crime Ryan Lewis, showcases a new Kesha, sans dollar sign; a Kesha capable of conveying much more pure emotion than the one who recorded TiK ToK. First single Praying is enough evidence for such maturation alone. It’s easily one of the most emotionally rousing songs released in the last decade, with Kesha proving that a) she can convey a real message about something other than partying, and b) she can really sing. This is the voice of a woman who’s come out on the other side of everything she’s gone through, one who’s itching to feel the catharsis that comes with putting her emotions out there, and it makes for truly shiver-inducing listening. Opener Bastards is in a similar vein meaning-wise. An (unexpected for an opener on paper) acoustic ballad gleaming with hope and positivity (“don’t let the bastards get you down, don’t let the assholes wear you out”), it’s hard to think of a more perfect song to introduce Kesha’s first project post-trauma. And, of course, feminist empowerment anthem Woman is sure to make you smile no matter what with its earworm chorus, bombastic horn section provided by the Daps-Kings Horns, and Kesha breaking down laughing in the second verse, clearly having the best time recording. But for all the maturity evident here, this is still a Kesha record through and through. 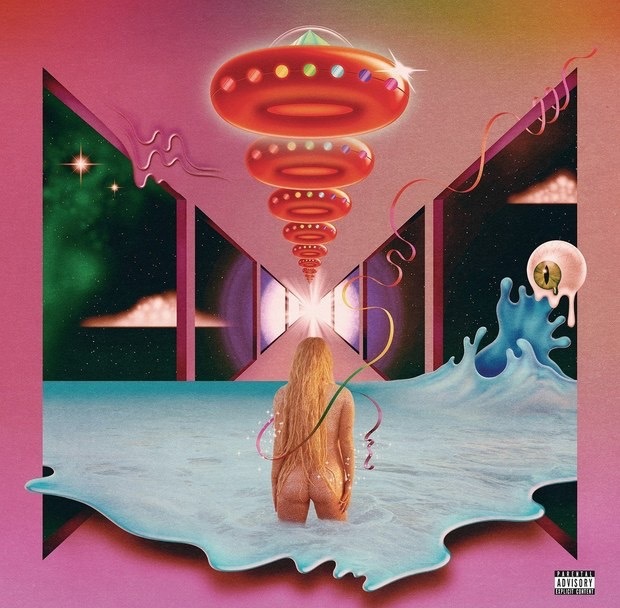 She jumps from genre to genre throughout Rainbow’s tracklisting, from legitimate rock (Let ‘Em Talk), Monster Mash-esque madness (Boogie Feet, both of which feature Eagles Of Death Metal), and more contemporary pop (Hymn), but it’s clear Kesha’s been dying to get back to her country roots. There are inflections galore scattered throughout the record, and a handful of bonafide country tracks, including a duet with Dolly Parton of Old Flames (Can’t Hold A Candle To You), a song Kesha’s mother Pebe Sebert wrote in the 1970s. Context is important to truly experience Rainbow as a full package, and that context does provide a rose-tinted gloss to the album. Looking at it from a purely musical perspective, not everything here quite lands. Rainbow, another piano ballad, is totally forgettable because Praying exists, and it’s difficult to name every track in the (perhaps less mature) second half of the album without intensely studying the tracklisting. In the grander scheme of things, there are identity issues. While Kesha herself is able to sell these songs and prevent it from being a total mishmash of different genres, there’s still something niggling about how the only identity here is that of the singer and her personality, not a musical thread tying everything together. Of course, Rainbow has clearly been a freeing, releasing project for Kesha. She’s positive and savouring her creative freedom, making exactly what she wants to make. This record is the start of a new chapter, and if Kesha can find an identity further down the line in her career like she did on previous two records Animal and Warrior, there’s no knowing how far she could go. ‘Rainbow’ by Kesha is out now on Kemosabe Records.